This article is 394 days old. After 36 years on the job, Mary Masse, the Town of Lakeshore’s Clerk, is retiring. Masse started with the Township of Rochester in the summer of 1981 at 18 years old as a secretary for a starting salary of $5 per hour. 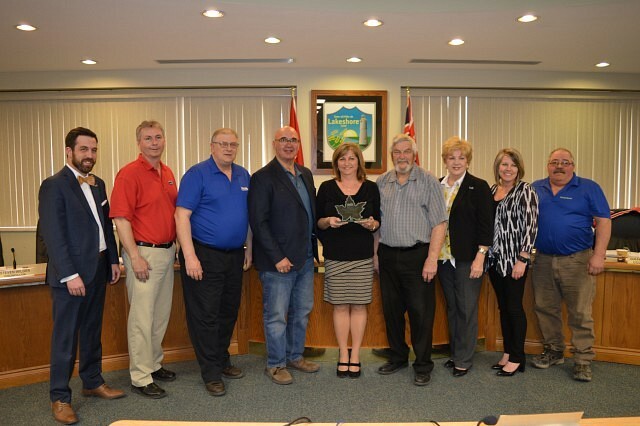 Over the years, Masse has held a number of positions, including payroll clerk during amalgamation in 1999, Deputy Clerk in 2001 working her way up to Town Clerk in 2005, a position she has held for 13 years. When Masse first started, elections were held every two years. Voting locations were usually at a private residence, at their kitchen table. Mary would take the numbers of votes for each candidate over the phone from each of the polls and give the number to the Clerk or Deputy Clerk who would then write the numbers on a large chalk board in Council Chambers. She always dreamed that someday she would do the same. Masse “looks forward to retirement, travelling and spending quality time with her family and new granddaughter”.